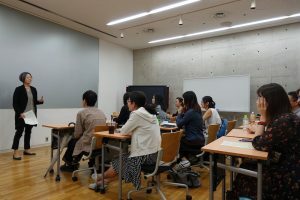 The Autumn Entrance Ceremony of the Graduate School of Interdisciplinary Information Studies was held on September 19th in Fukutake Learning Theater. It was attended by 15 new students entering the Master’s degree program and 6 entering the Ph.D. program. The ceremony began with addresses by Dean Tanaka and Prof. Nakao, Head of Department. Following this, members of the faculty introduced themselves, and a welcoming address was delivered by a representative of the existing student body. 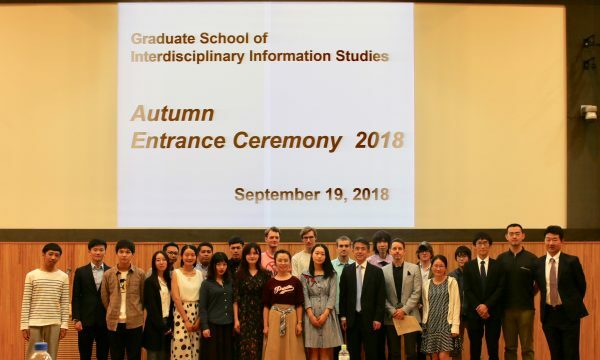 Dean Tanaka spoke of the GSII’s success in attracting students from many overseas countries and its role as a pioneer of interdisciplinary education. 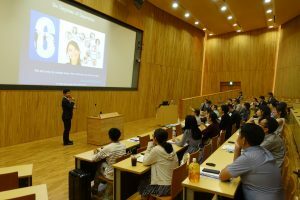 He encouraged the new students to become pioneers in their own fields as the GSII nears the 20th anniversary of its founding. 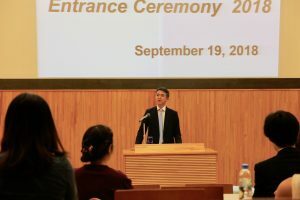 Prof. Nakao paid homage to Steve Jobs’ famous commencement address at Stanford University in 2005, quoting the memorable words “Stay hungry, stay foolish,” encouraging students to always remain hungry for even greater achievements in their research and resilient in the face of challenges. 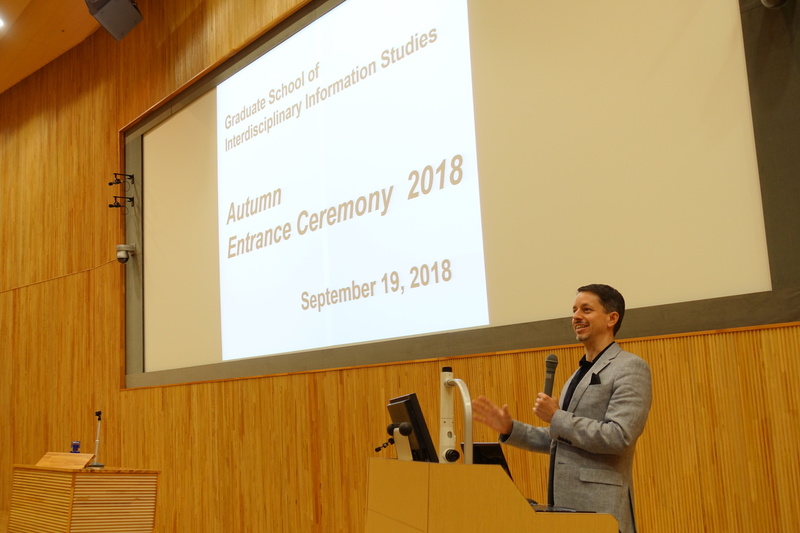 After brief introductions by the faculty members in attendance, Frederic Seraphine, speaking as a representative of the existing student body, warmly welcomed the new students in a wide-ranging address emphasizing the need to maintain a sense of curiosity. The ceremony was followed by a guidance session for the new students as they embarked on their life as students of the GSII.